Why do we do it? Why does Macuch Steel endure the costs of maintaining our AISC certifications? Because we see the value and the results! While not all of the jobs hitting the streets are certified, what a difference there would be if more jobs specified an AISC Certified Company. Quick Background: The American Institute of Steel Construction was founded in the 1920s to advance the interests of the structural steel design industry in the United States and better serve the overall construction industry. Since then, it has been the leader in research, education, code development, technical assistance, quality certification, and market development for steel construction. One of the most important roles AISC plays is to certify that steel fabricators and erectors meet a rigorous — and constantly evolving — set of industry standards regarding quality, safety, administration, training, and more. These certifications are not easy to get. Each takes some time and effort, not to mention expense, in order to qualify and maintain annually — so much so that some companies choose to skip getting certified entirely. The prime differentiator between an AISC certified facility and one that isn’t is the level of quality control specified by AISC. Every important process, from contract and spec review to material identification to equipment calibration and testing to weld procedures, must adhere to standards and be documented in a Quality Management System to be followed by the certified company in their day-to-day operations. For customers, this means that the final project and construction experience will have a superior quality with less errors and delays. Each AISC Certified Fabricator and AISC Certified Erector is subject to audit and physical inspection to make sure the company’s QMS isn’t just paying lip service to the standards, but that they are being applied throughout the company. Hiring a fabricator and erector that is accountable to a third party for oversight gives the customer peace of mind that the firm not only knows what it is supposed to be doing, but is actually doing it. AISC works with many leaders in the construction industry, government entities, and the public to develop consensus standards and programs. As such, certification is the best way to ensure that the company you are hiring is exposed to the latest technological developments, building codes, and current best practices. With so many changes happening in our industry at any given time, it pays to deal with a firm that stays up to date. One of the more obvious results of getting certified is the reduction in accidents and product failure thanks to the higher QC specs and greater training requirements for employees when compared with non-certified firms. Every AISC Certified firm must develop procedures to identify non-conformance and implement corrective actions. The stress is on safety and providing the highest-quality product possible that will meet or exceed industry requirements. AISC Certified Fabricators and Erectors tend to run more efficiently, since they have consistent processes and formal training procedures as mentioned above. In addition to making things safer, these factors also eliminate wasteful actions and save money — which can be passed down to the end customer through a more reliable and complete quote. By using fabricators and erectors that pass the rigorous standards established by the AISC, you also prove that our industry can self-police and reduce burdensome government regulations and excessive interference. While we are obviously a bit biased towards AISC certified firms (since we are one), it really is to your benefit to seek out a certified firm — even if the quote is slightly higher than a competing, non-certified company’s. In going that route, today’s minor savings might just add up to significant costs in the future. Want to find out more about how our AISC certifications can benefit your next job? Call us today! Welcome to the first post in our “Industry Voices” series, where experts from Macuch Steel will address topics that are relevant to the steel industry. This blog is from our President, Gary L. Cowart, who discusses the importance of cohesion between General Contractors and Subcontractors. Most contract documents are clear on the requirements for roof and floor-opening frames. The documents will identify the structural shapes that make up the frame, the general configuration of the frame, and how the frame attaches to the structural framing. What is not commonly found in the contract documents is the dimensional location and size of the frames. This information is generally not available at the time of the structural design, and, for the most part, is dependent on the suppliers and subcontractors chosen by the project’s “General Contractor”. Long story short: at the time a building contract is awarded, the information required for the floor and roof-opening frames is simply not there. As a subcontractor, we receive a contract that has some language (and I paraphrase) along these lines: “you must coordinate with other trades”. On the surface, this sounds great. Have you ever heard an orchestra without a conductor? It just does not work! I have seen the construction progress on very large structures such as high schools, hospitals and office buildings come to a screeching halt because of the lack of floor and roof-opening information. So what is the answer? It’s simple! Someone has to OWN the problem before a solution can be found. I believe that, as a team with the General Contractor coordinating the input from subcontractors, the issue could be resolved. But until someone acts as a good conductor and pulls it all together, it is nothing more than noise. 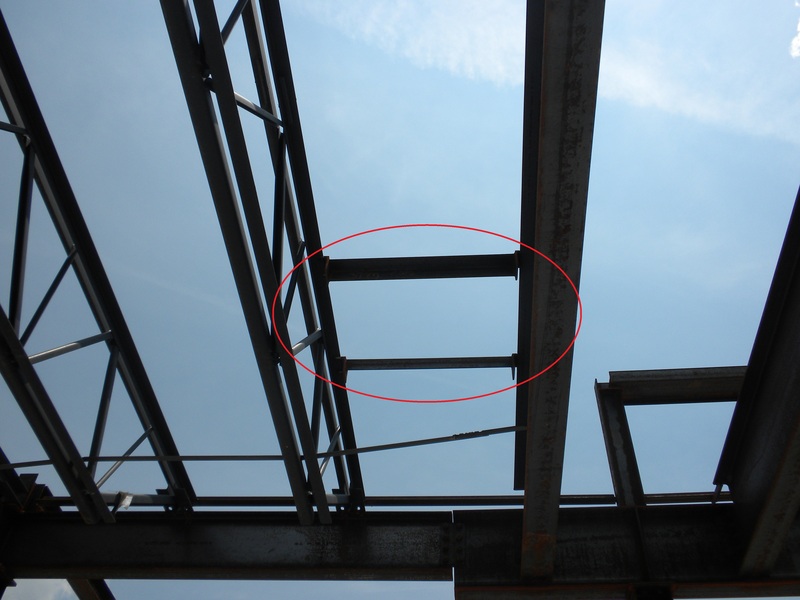 Floor and roof-opening frames should never be a show stopper on construction projects. Call Macuch Steel…we can help your orchestra make beautiful music!